Living with endometriosis: Why your choice of feminine hygiene products matters for your health. | The Endo The World? Living with endometriosis: Why your choice of feminine hygiene products matters for your health. Do you know what chemicals are in your feminine hygiene products? And do you know why you should care? After being diagnosed with endometriosis and adenomyosis in August 2014, I started reading into the research surrounding the causes and management of these diseases, and discovered a link between their development and exposure to certain chemicals in our environments. For example, a well known study by Rier et al., (1993) found that female rhesus monkeys exposed to dioxins developed endometriosis in a dose dependent relationship- i.e. greater exposure to dioxins led to the development of more endometriosis inside of their bodies. This made for some scary reading, and I was shocked to discover that our everyday environments are flooded with thousands of harmful chemicals (in the air, in our beauty and household products, and even in our food) which impact negatively on a range of bodily processes. Some of these chemicals (e.g. parabens) are known to be ‘endocrine disruptors’ which directly alter the amount and balance of hormones in the body. Others (e.g. perfluorochemicals) are known to negatively impact on fertility, which is a heightened concern for many of us women endometriosis and/or adenomyosis anyway. Since endometriosis and adenomyosis are hormone dependent diseases fed by oestrogen, I realised that the amount of endocrine disruptors present in my environment is a pretty big deal and required urgent action. I decided there and then to set about ditching many of my household and beauty products (where possible) in favour of more natural alternatives. As I have written before I also made the switch to a mostly organic diet in order to avoid chemical pesticides entering my system. Not good news right? With the average women menstruating 450 time during her life, this represents a significant chemical load on the body. My advice would be if you wouldn’t be comfortable pumping a certain chemical directly into your blood, don’t put it anywhere on your body. One change I made was to seek out a feminine hygiene brand using natural materials. 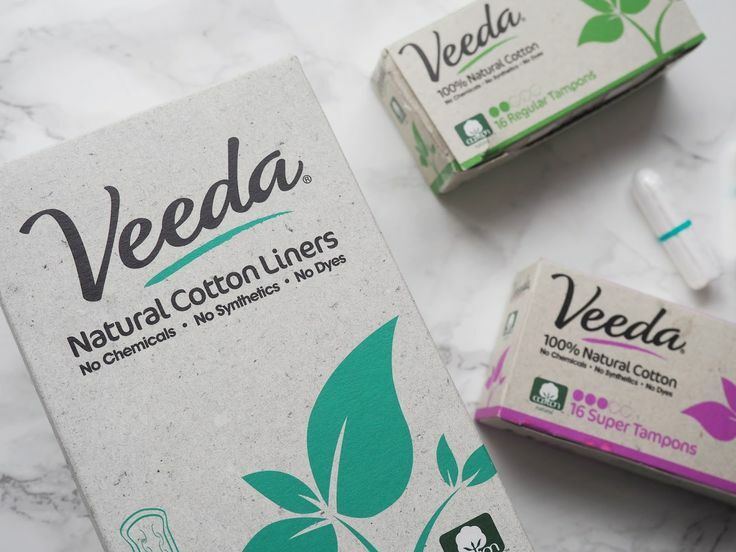 This led me to Veeda*, a company who make pads, tampons, and liners from organic unbleached cotton, and are free from any of the chemicals described above. Although keen to be proactive I was slightly anxious about making the switch, like many other women I had used Always products since puberty and did feel some brand loyalty to them. You can check out these links for their UK website and US website here. Veeda were kind enough to send me a sample of their products to try out, and I was pleasantly surprised with how good they are. I found their pads and liners of comparable comfort, quality, absorbancy, and price to the synthetic market leaders. When I last bought them in Boots they were actually cheaper than my usual choice from Always! I’m pleased that such a simple swap can promote my health in such a positive way, without having to compromise on quality. I’m converted for life. What I also admire about Veeda is that they seem to be a socially aware company seeking to promote women’s health and rights. I often see them tweeting for endometriosis awareness, and they have established a charity for disadvantaged women and children around the world which they donate 10% of their profits too. This contrasts with Proctor & Gamble (who own the Always and Tampax brands) who have systematically refused calls to disclose precisely which chemicals they use in their feminine hygiene products or to remove any substances known to directly damage health. I personally know which company I would rather support. The excellent Chem Fatale Report on this topic also highlights the irony that while these products are marketed to women as essential for ensuring ‘good health, sexuality, and fertility’, in reality they are likely to do the opposite. As women, we have the power to influence big companies through our consumer choices. If we collectively and consistently endorse non-harmful products through our purchases, companies will be forced to listen and then more likely to develop and sell more natural products. Making the switch to more natural feminine hygiene products makes sense for any woman, regardless of whether you have a disease like endometriosis or adenomyosis. The chemicals in bleached tampons have been directly linked to the development of Toxic Shock Syndrome which can be fatal, as well as being linked to a number of cancers and birth defects. So come on ladies, it’s time to make the switch to promote your long-term health and wellbeing. This one is a no-brainer surely?! I did notice that the issue of reducing the chemical load on our bodies was explored in the fabulous Endo What? documentary, so I would recommend checking the film out if you’d like to know more. I’d love to hear your thought on this issue. Would you consider switching your femine hygiene products, or does brand loyalty override this decision for you? Do you already use a natural alternative- and if so what? *Veeda have not paid or incentivised me to write this review- I just genuinely like their products. 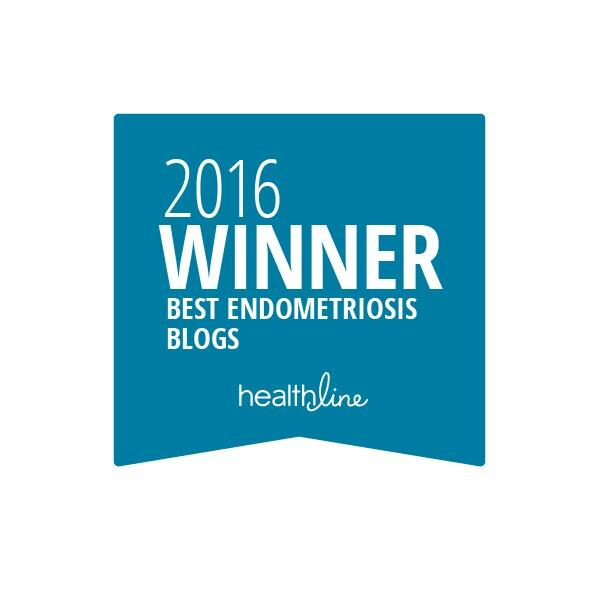 ← Adenomyosis: A one way ticket to hysterectomy? Thank you! I’d never given it any thought before either, but really was shocked when somebody mentioned it to me so I decided to do a bit of research. Really pleased you found it helpful. Please do share it with anyone else who might be interested. I am really glad you liked my post. Thanks for the link- liked your body wash post too! Thank you for spreading awareness for important women issues regarding health and well-being. Our bodies are our temples and we should always be able to make informed decisions about it. Thanks Veeda- keep up the good work! Thanks for doing this research!! Thank you! Really pleased you liked the post and found it helpful. I didn’t know any of this until recently and was really shocked when I started reading about it. Good luck with the switch- let me know how it goes. You’re most welcome. Let me know how you get on with them, and please do keep in touch.